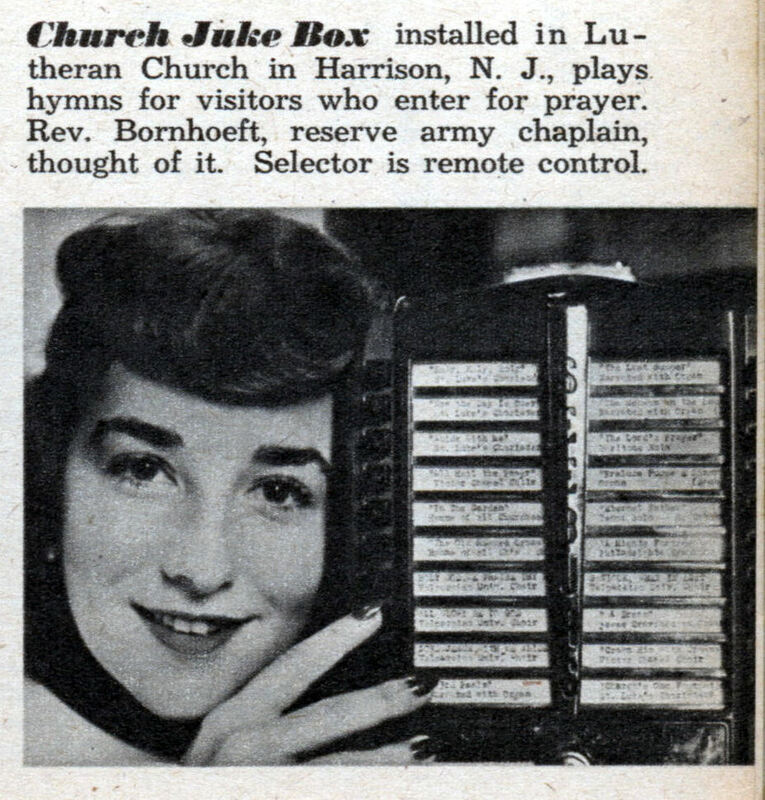 Church Juke Box installed in Lutheran Church in Harrison, N. J., plays hymns for visitors who enter for prayer. Rev. Bornhoeft, reserve army chaplain, thought of it. Selector is remote control.